Keeping to the theme of Fender Bender, sci-fi, and rockets, has landed me in the realm of rocketpunk! This will be the blue team's defense turret. 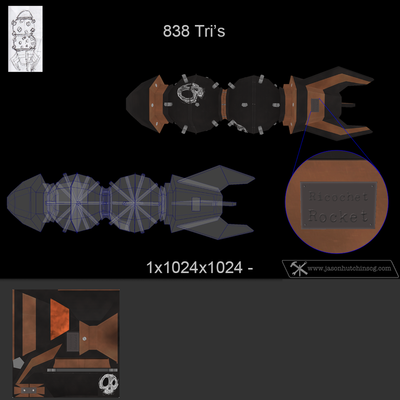 Keeping to the theme of Fender Bender, sci-fi, and rockets, has landed me in the realm of rocketpunk! 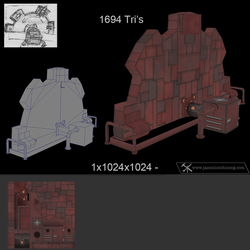 This will be the red team's defense turret. 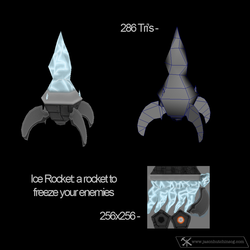 The ice rocket was the first of the weapons I crafted for the game. 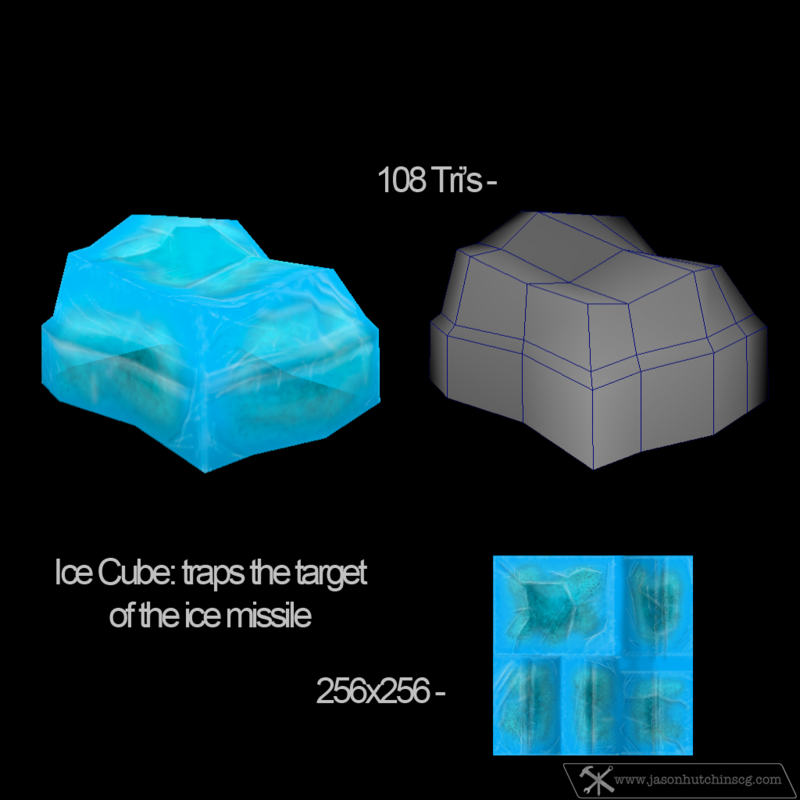 It's designed to freeze your opponents. 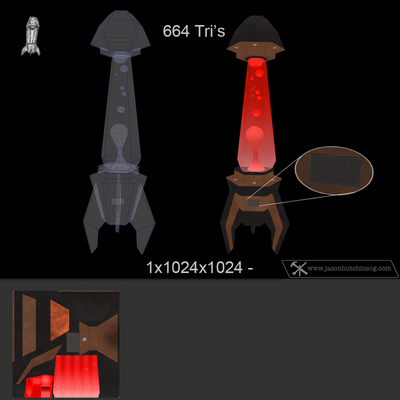 The lava/fire rocket is designed to do fire damage to your opponents. 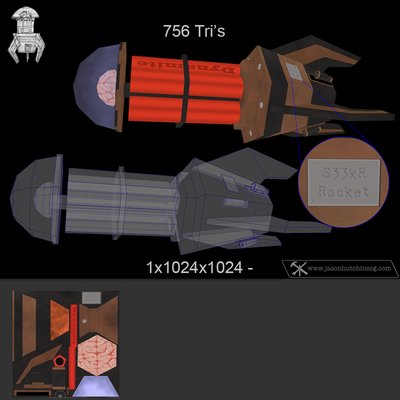 The power/nuke rocket is designed as a slow and powerful weapon. 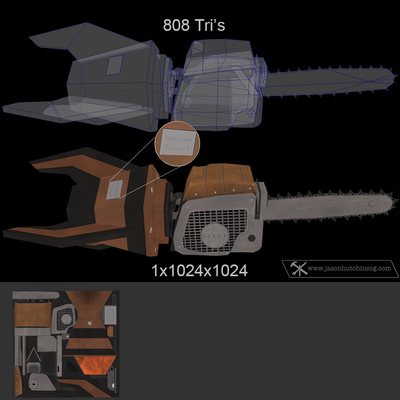 Chainsaw rocket is everyone's favorite, designed as a light melee weapon it's supposed to cling to the opponents vehicle and do damage over time. The remote rocket is supposed to take over the players vehicle camera once fired so they can remotely control it from afar. The tesla rocket is designed to be a heavy melee weapon, it's supposed to cling to the opponents vehicle and do damage over time. 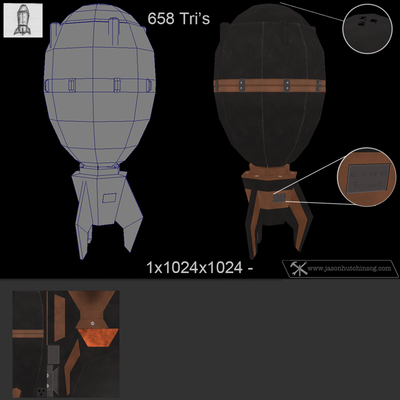 The ricochet rocket is designed to do an initial small explosion to separate the naval mines, and then a secondary explosion once the mines make contact. 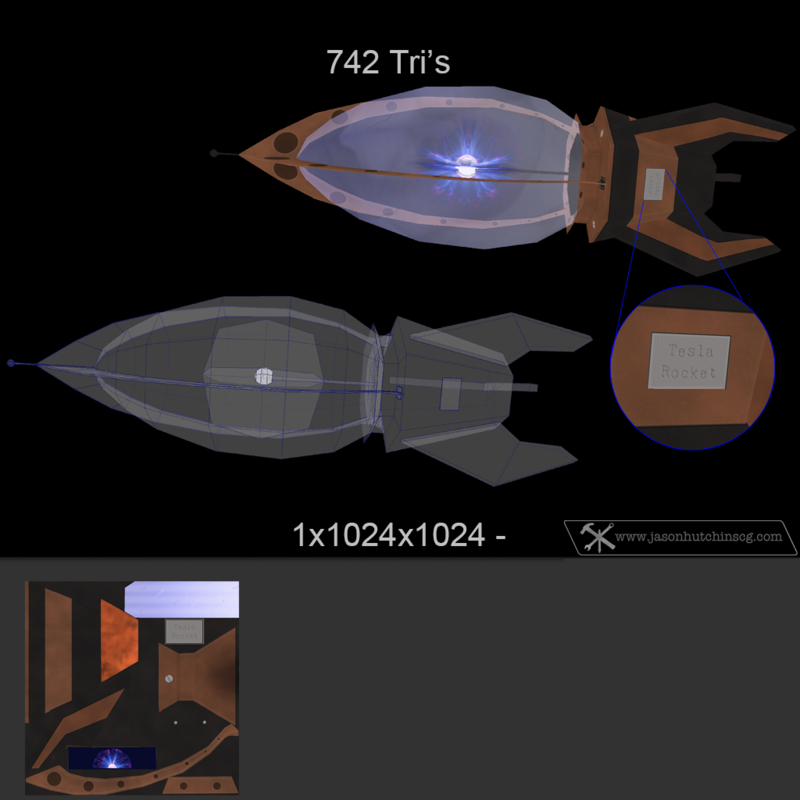 The seeker/smart rocket is powered by the brain of a fallen comrade and dynamite. 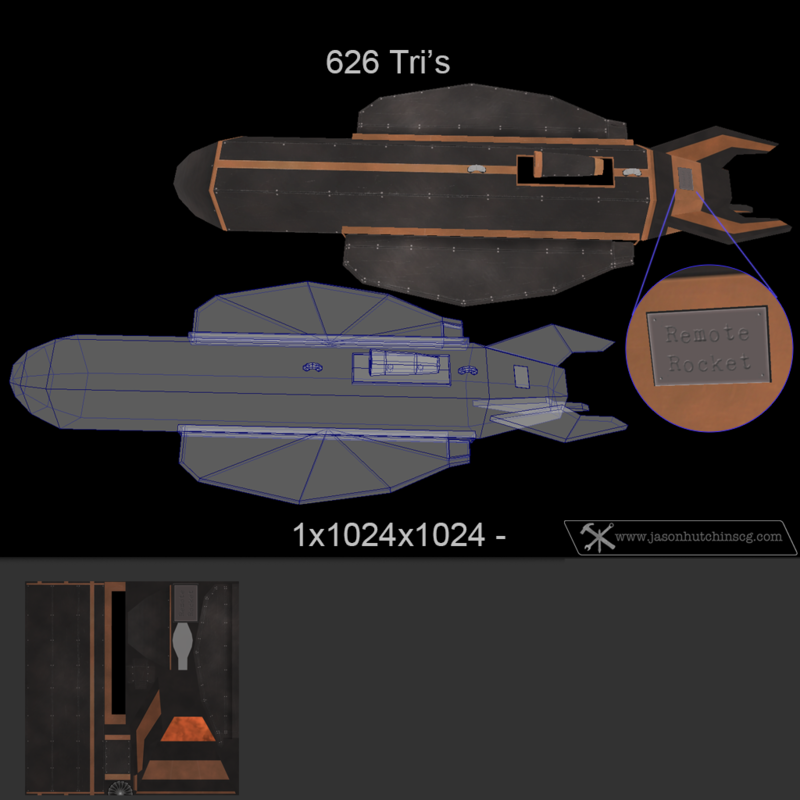 Once set it motion it will hunt down enemy craft until it runs out of fuel. I was inspired to build this when I saw it in a multiplayer game I was playing. 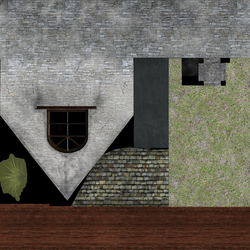 I turned it into my weekend project, which took about 12-15 casual work hours. 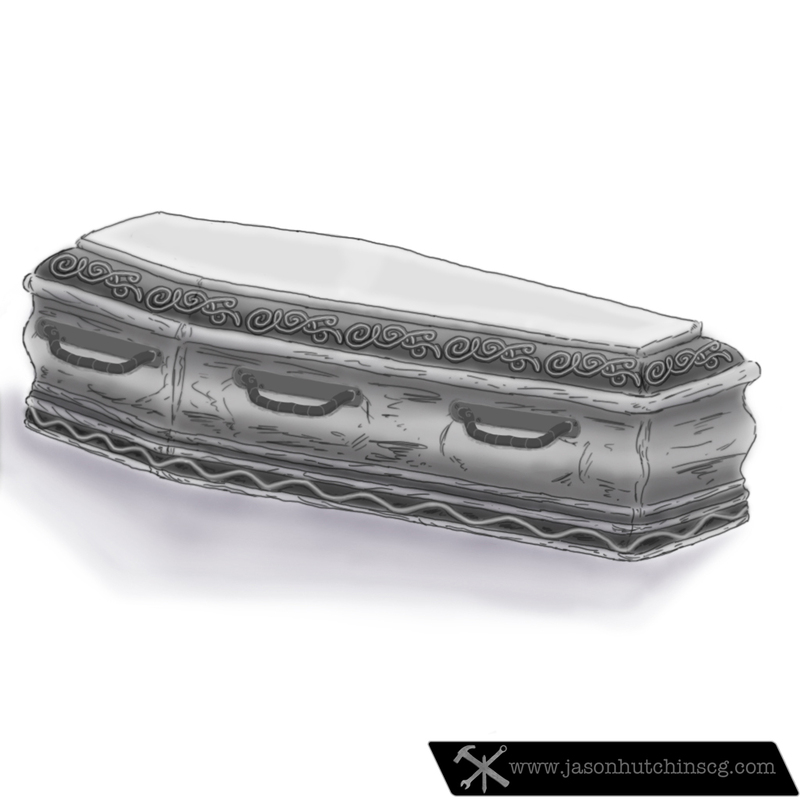 The vampire piggy bank was a group project for another project. 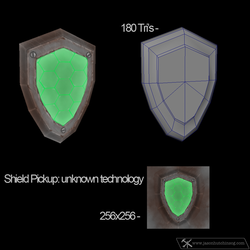 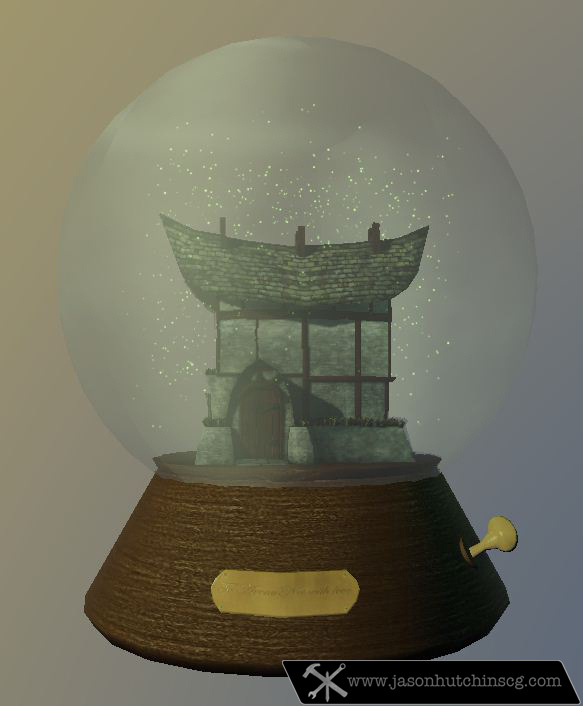 Randell Potts modeled it and I uv'ed and textured it. 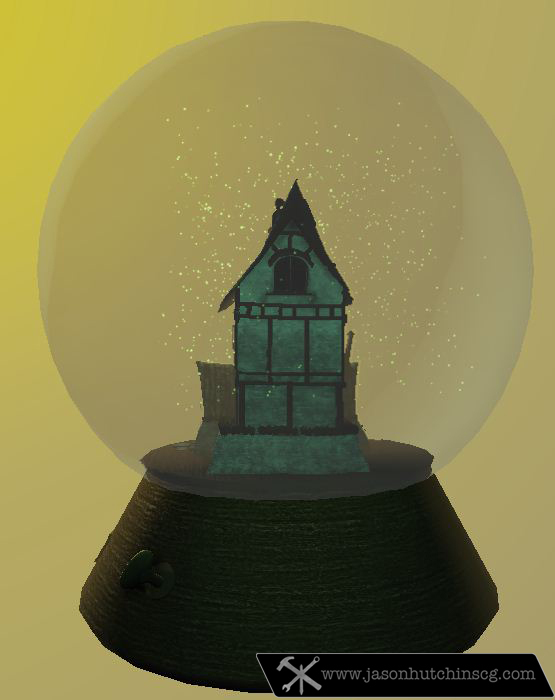 Another group project for the same project as the vampire piggy bank, Randell Potts modeled it and I uv'ed and textured it. 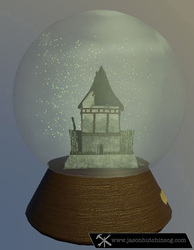 The art test was for the house, the "snow" globe was just to be different. 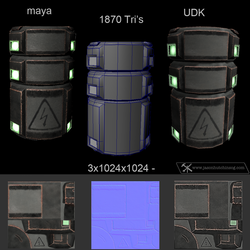 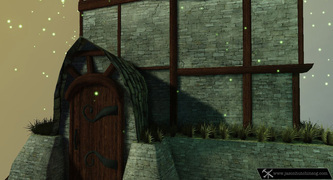 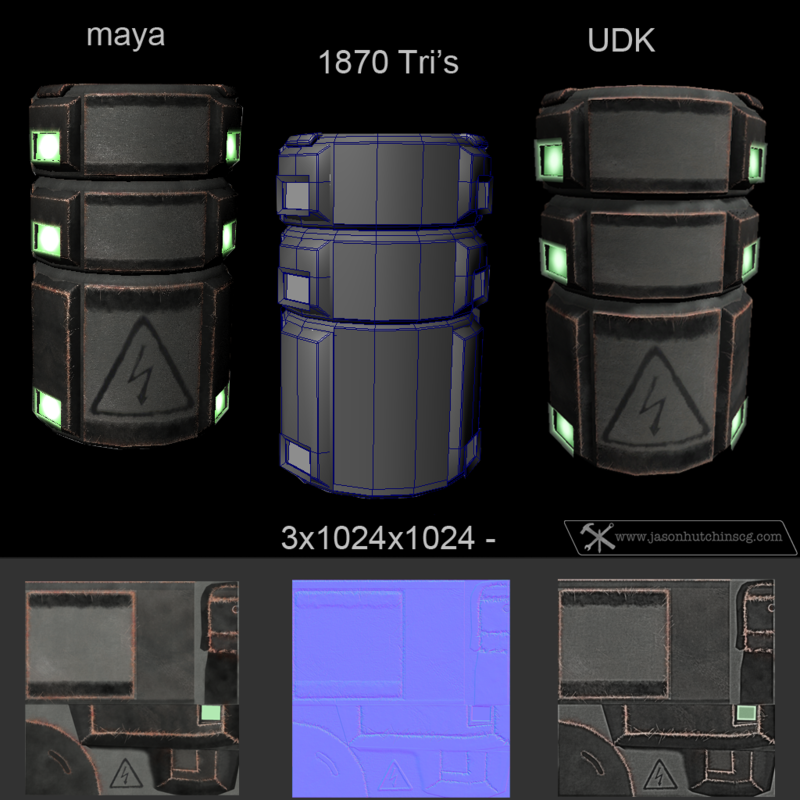 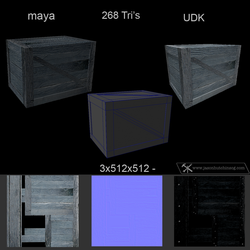 Modeled in Maya, rendered in UDK. 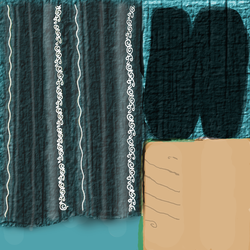 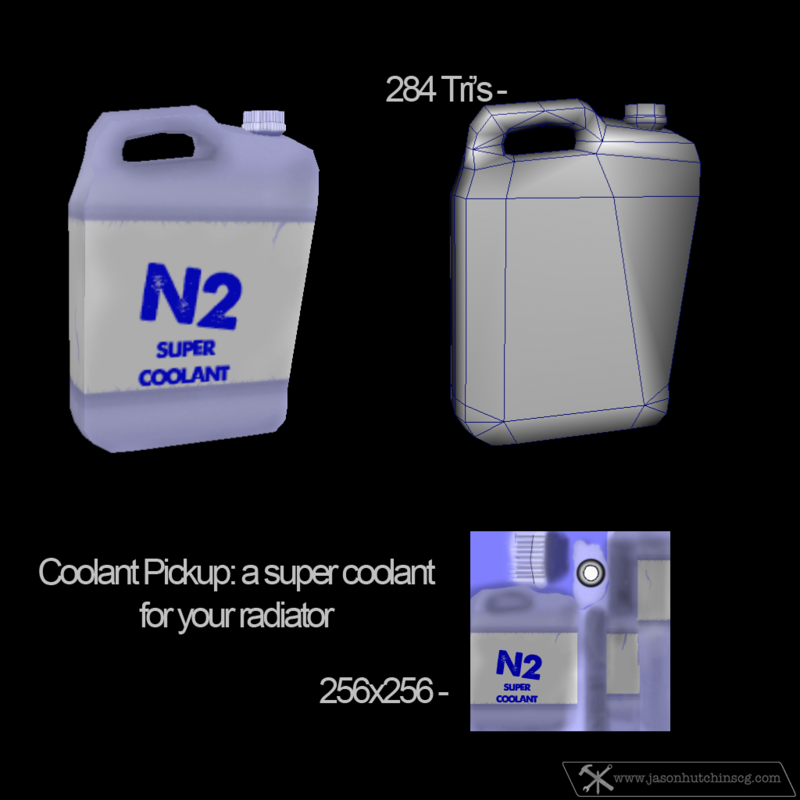 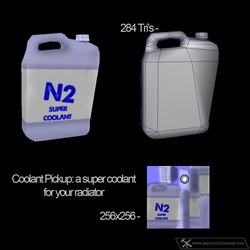 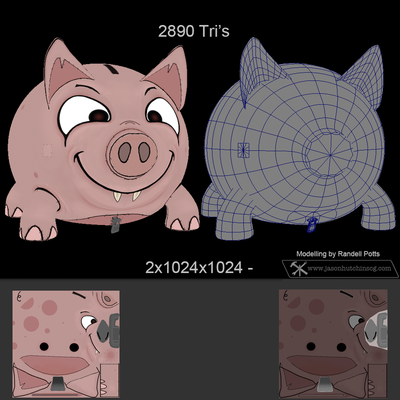 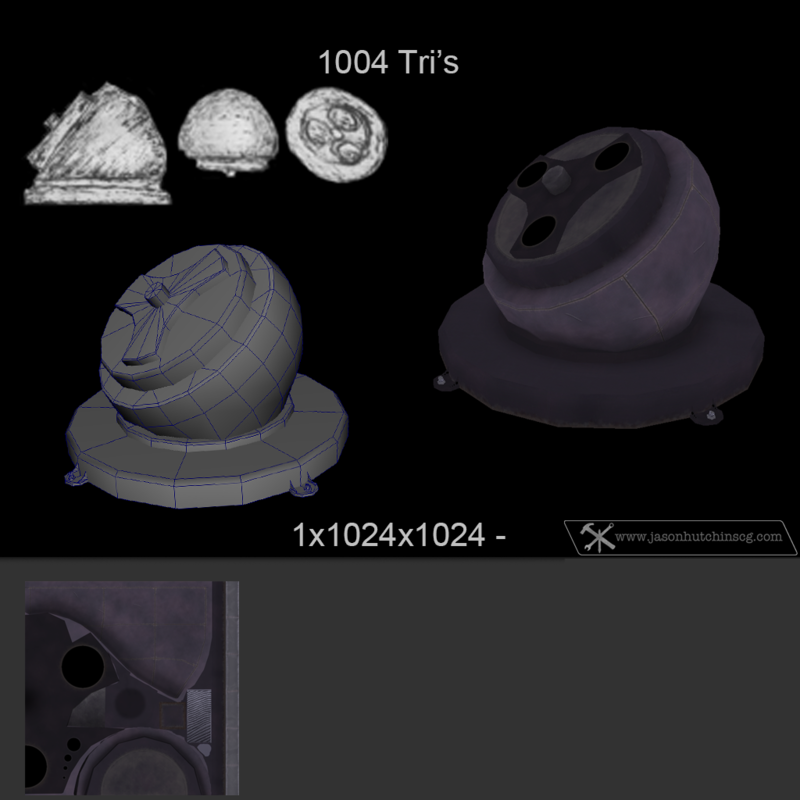 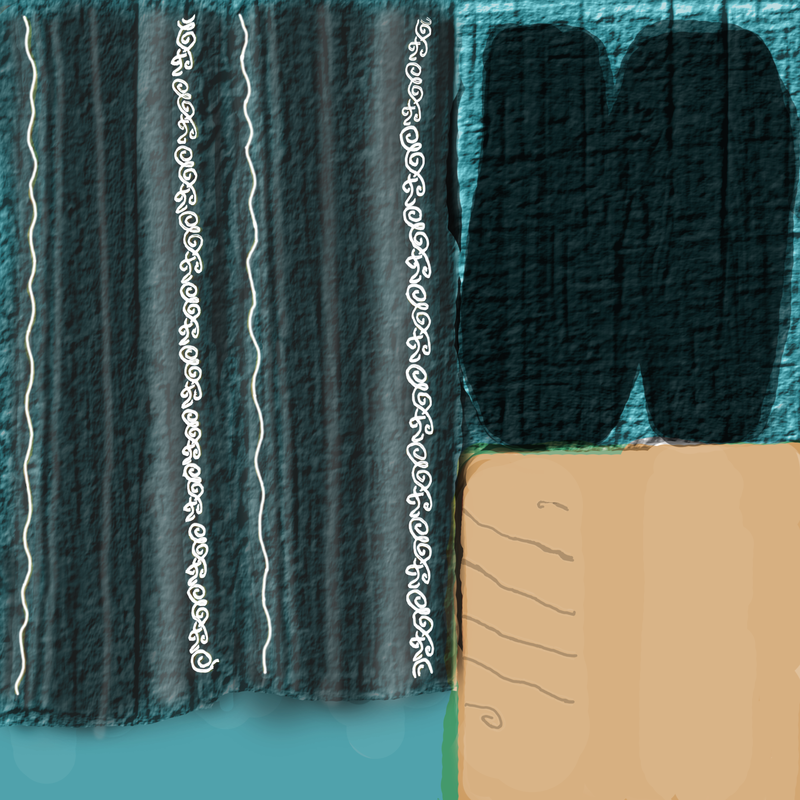 For this art test I was allowed 2x1024x1024, so I used a diffuse and a shadow map. 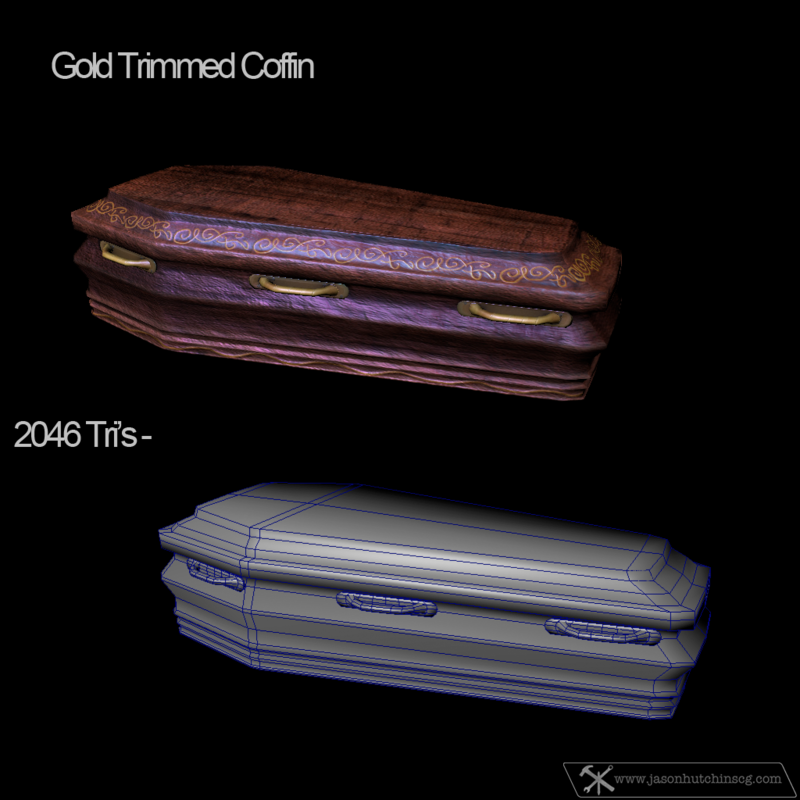 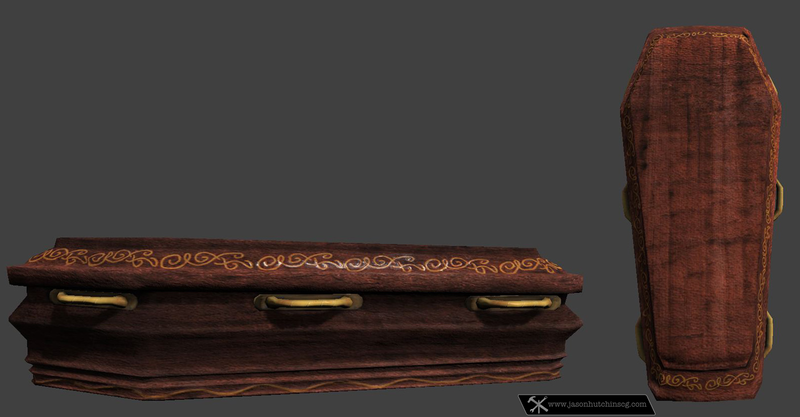 Same coffin, but modeled and textured as seen in UDK. 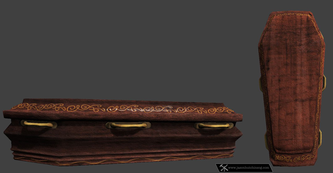 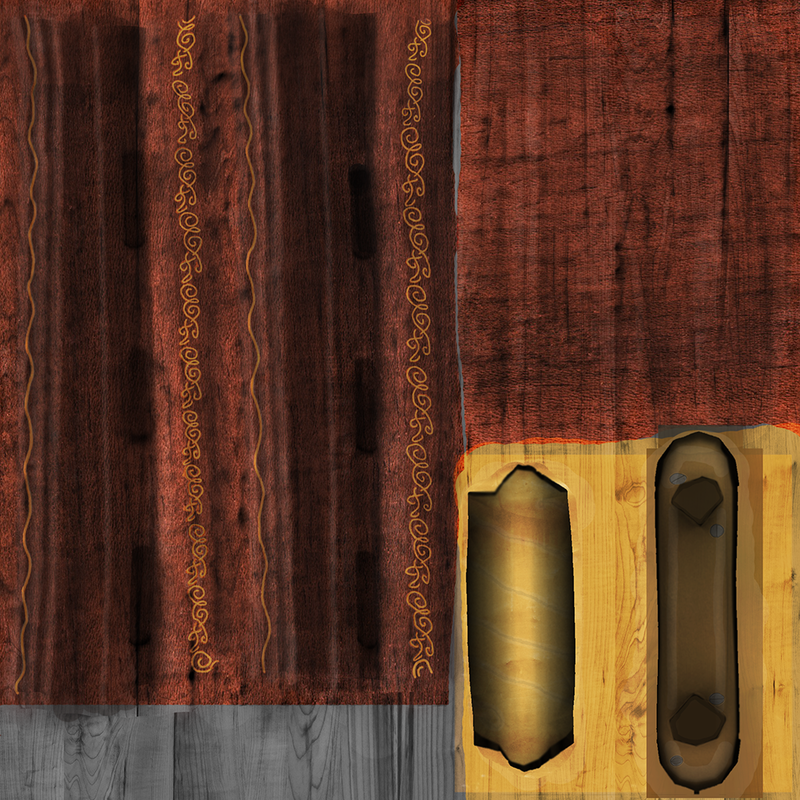 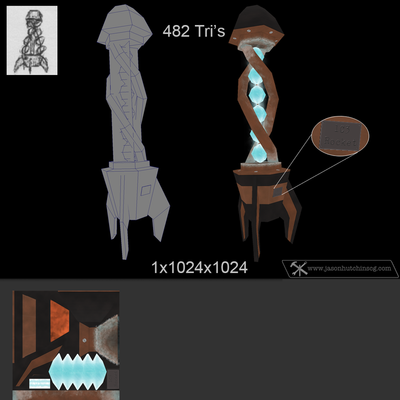 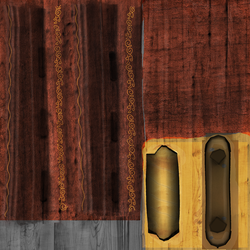 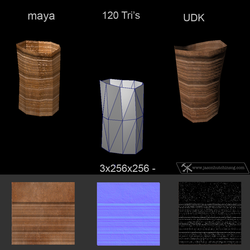 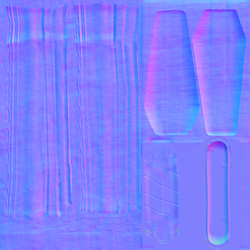 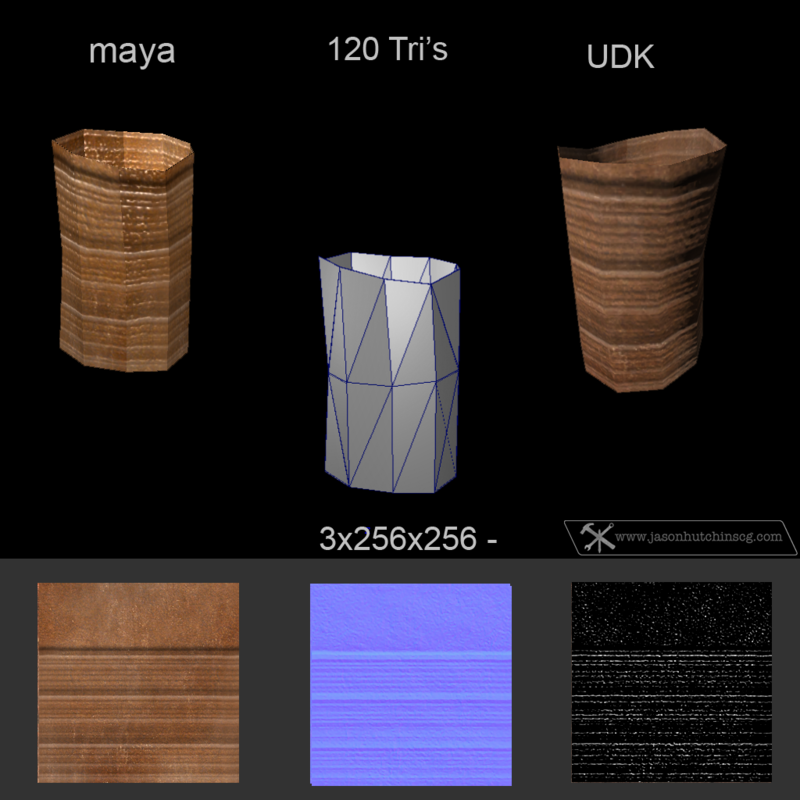 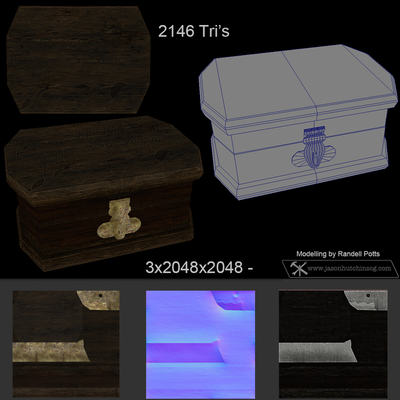 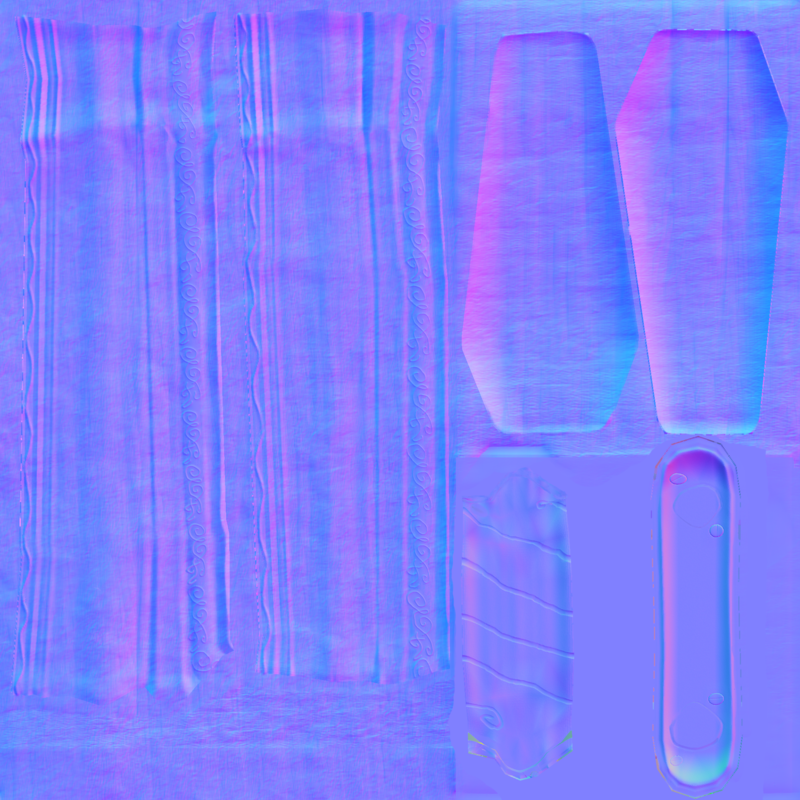 Same coffin, but modeled and textured as seen in Maya. 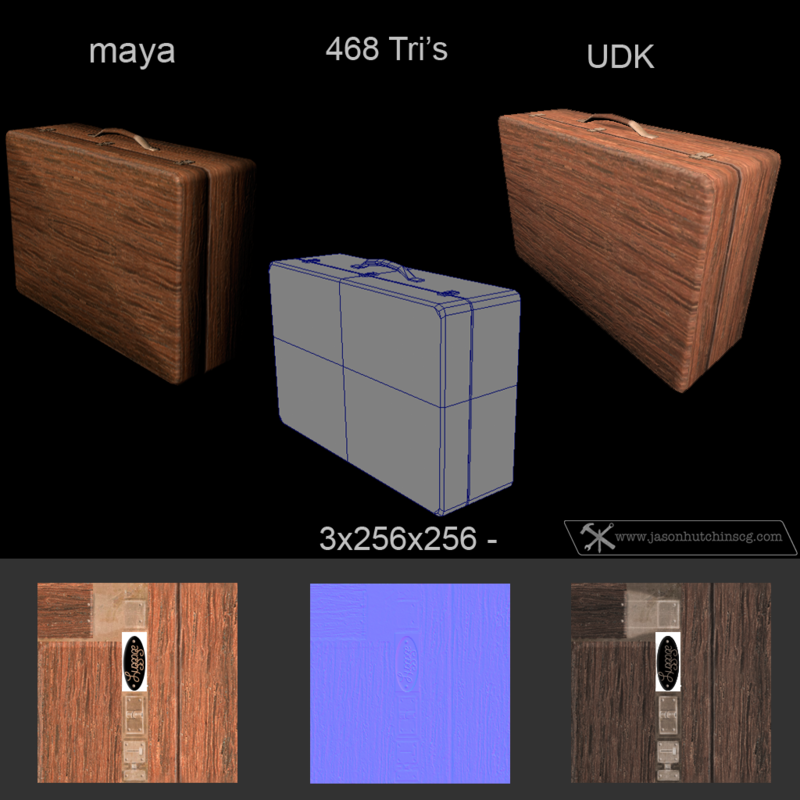 When was the last time you saw a wooden suitcase? 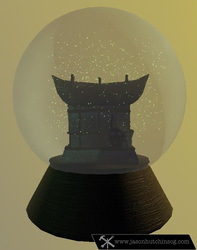 I've never seen one IRL. 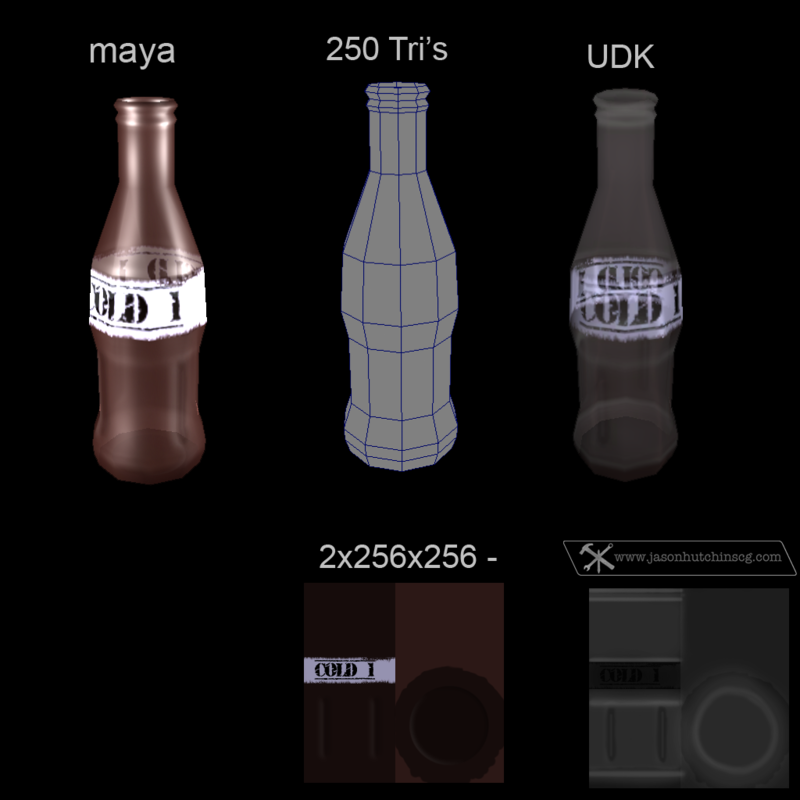 An empty bottle of your not-so-favorite cola. It's a crate, and it carries things. An abandoned rusty can filled with .. well .. nothing. 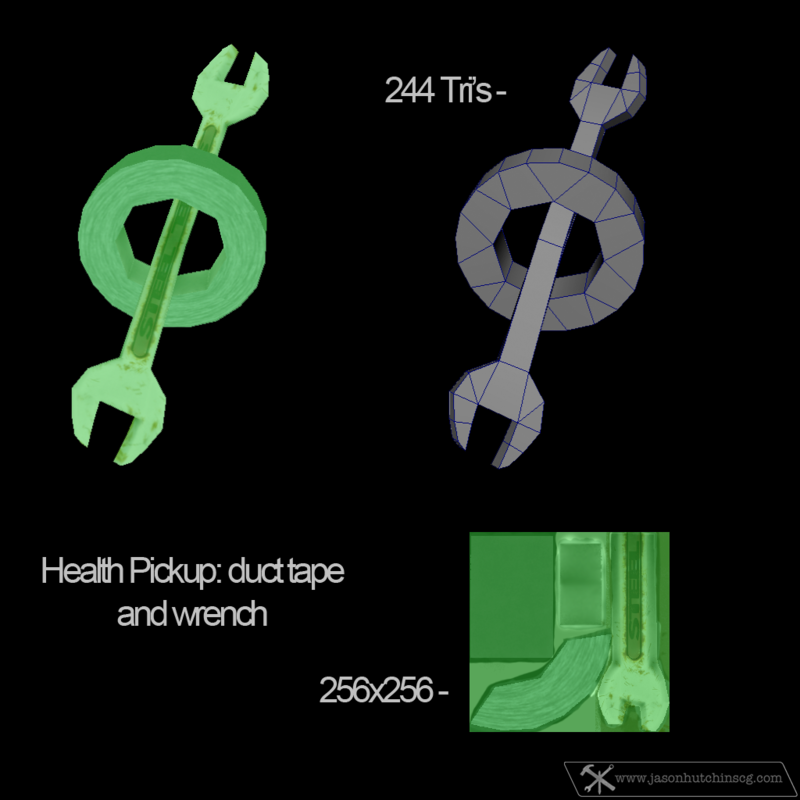 Duct Tape and a wrench, what else do you need to fix a car? Exact ice cold revenge on your .. friends. Momentary and instant protection from certain death, pick one up today! In smash n' grab mode you shoot at other cars, which in turn drop these and if you collect them you can earn points. 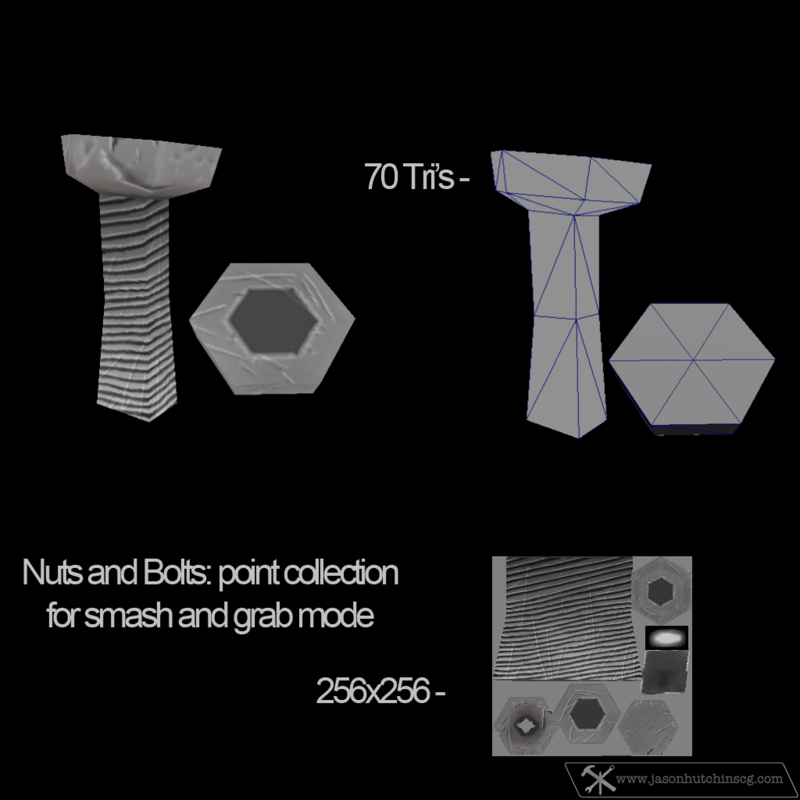 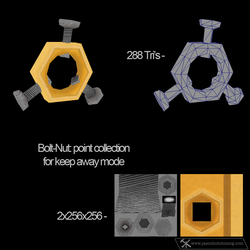 In keep away mode, you carry the golden nut bolt around to accumulate points. Did I mention you drive slower while you carry it? 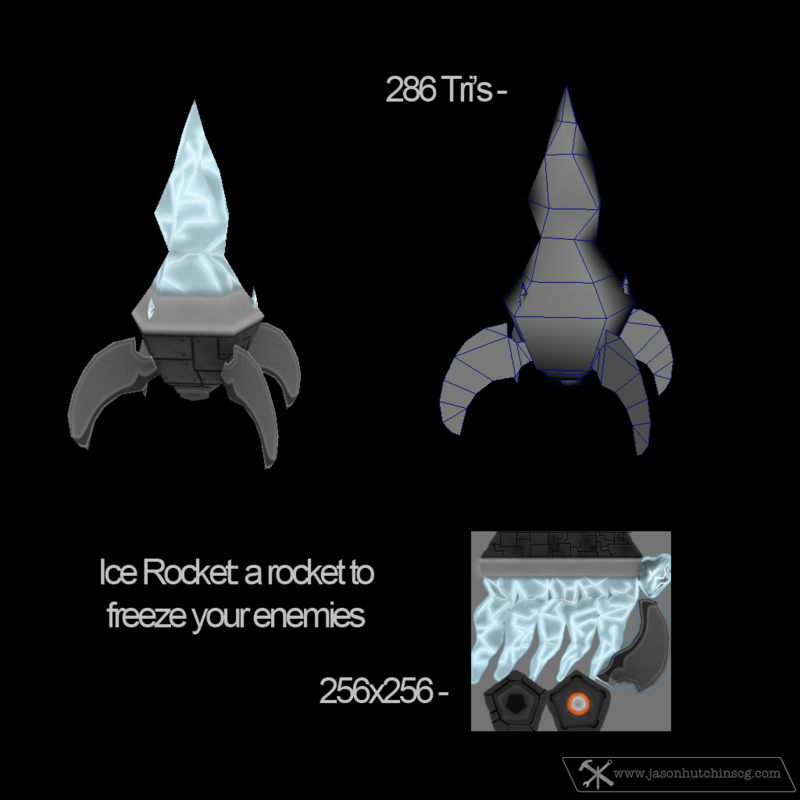 This is what you'll look like if you get shot with an ice rocket. 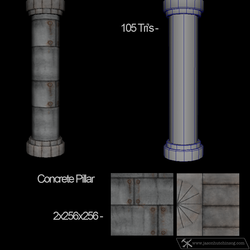 Ever wondered what was holding up the ground? 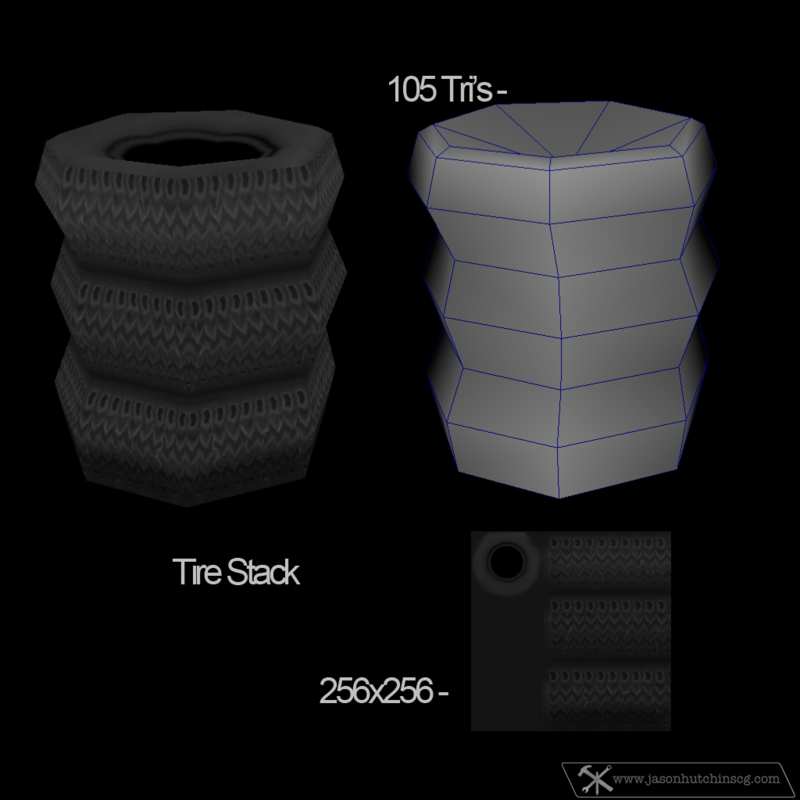 Old tires stacked into a pile, making the job of creating a collision mesh that much easier. 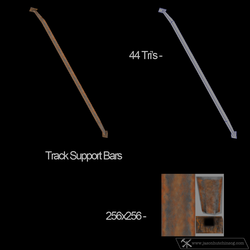 These keep the track from falling off the side of the mountain.